The fact is, in today's world of constant distractions, most business owners struggle to get their marketing messages heard. Authority Content provides a simple process that any company can use to break through the noise. It doesn't matter whether you're the owner of a retail shop, financial advisor, swimming pool manufacturer or an inventor with an ingenious product - this powerful strategy will work for you. 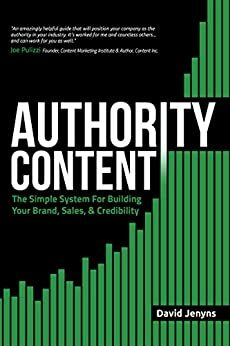 Built on the "3 Ps" framework (Present, Product, Promote) this book teaches you a step-by-step system for building authority within your industry thus sky-rocketing website traffic and sales.